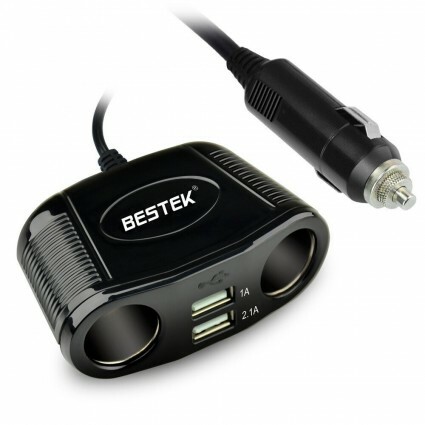 BESTEK cigarette lighter USB car charger can convert 12-volt DC power from a vehicle battery to 120-volt AC power. 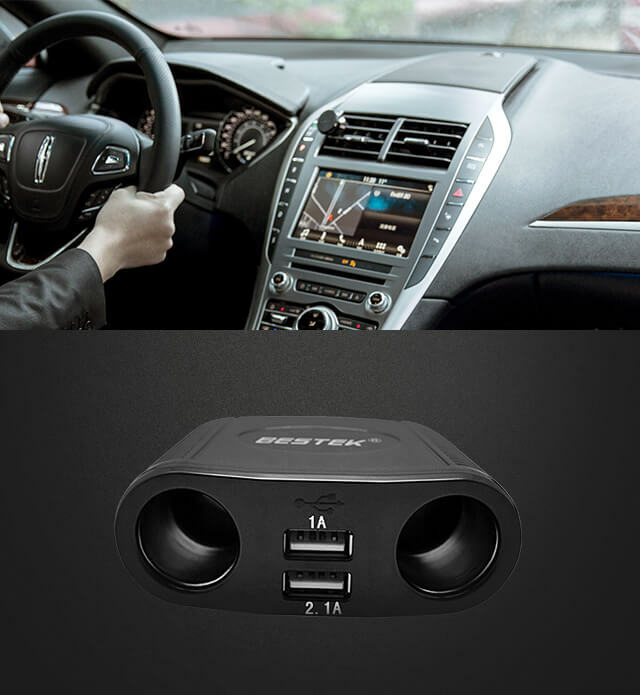 Simply plug the inverter into your vehicles DC outlet, and connect your device to the inverters AC outlet or USB port. 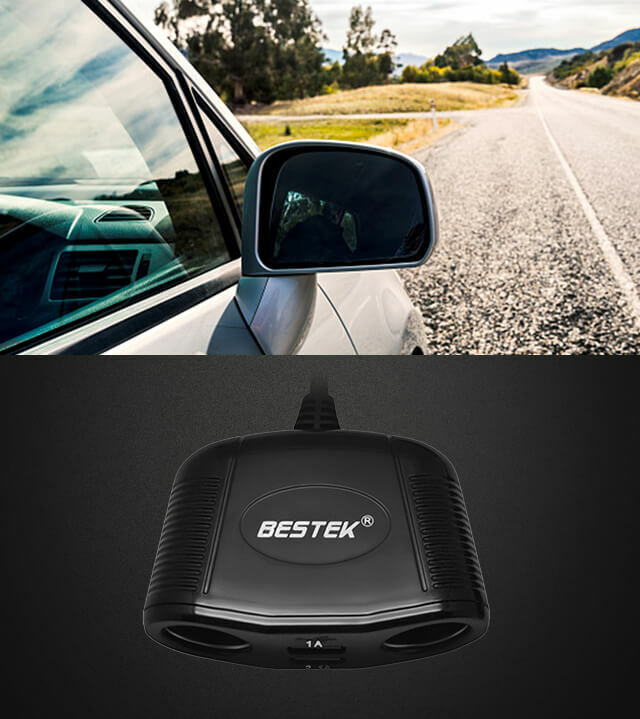 Providing on-the-go household power in the vehicle. 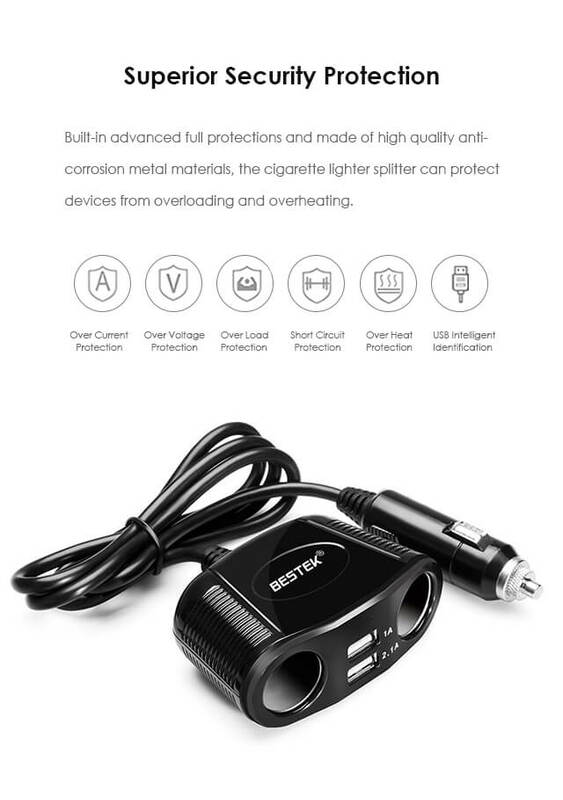 This product protects my devices from overloading and overheating, very satisfied. 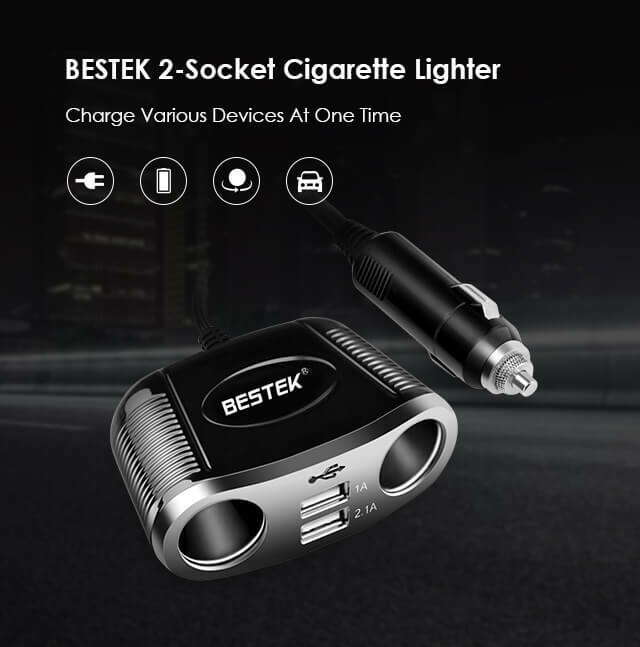 I am very pleased with this Cigarette Lighter Adapter, which greatly increases the charging availability. We are able to keep 2 iPhones, GPS and iPad always charging on a 12-hour road trip. I bought this to allow my husband to use her GPS and charge her phone at the same time. This works really well. There are no problems or complaints so far. 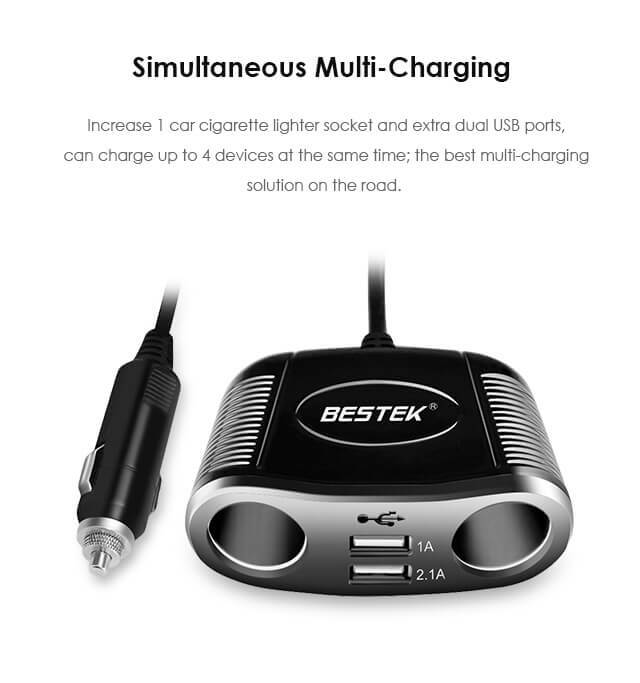 This product is very solid and practical, I like it to include two extra USB ports that can charge my phone or the mobile power I carry. 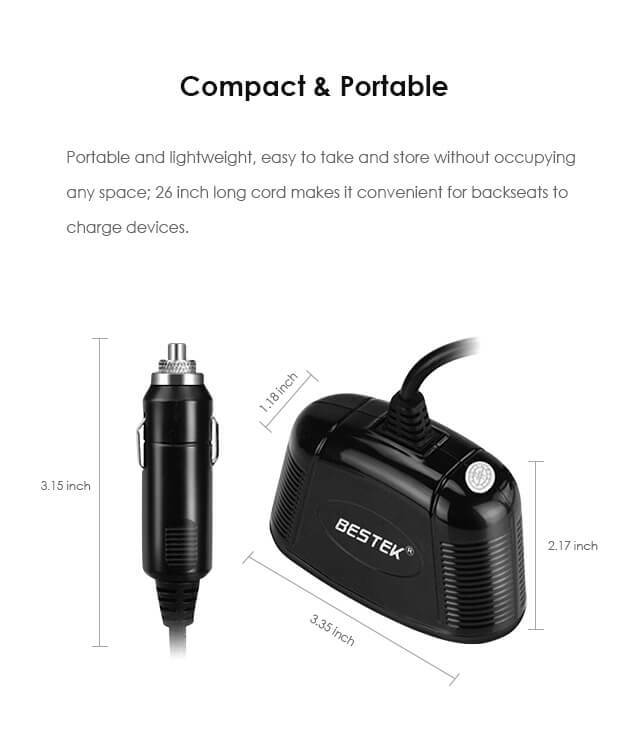 My phone, mapping, and informational devices can stay charged on the trip with this product. 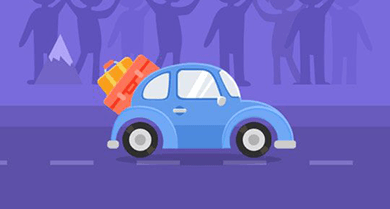 Very suitable for traveling. I plugged in all four devices on my trip and back home, beyond my expectation, it didn't get hot and I'm very happy with this. 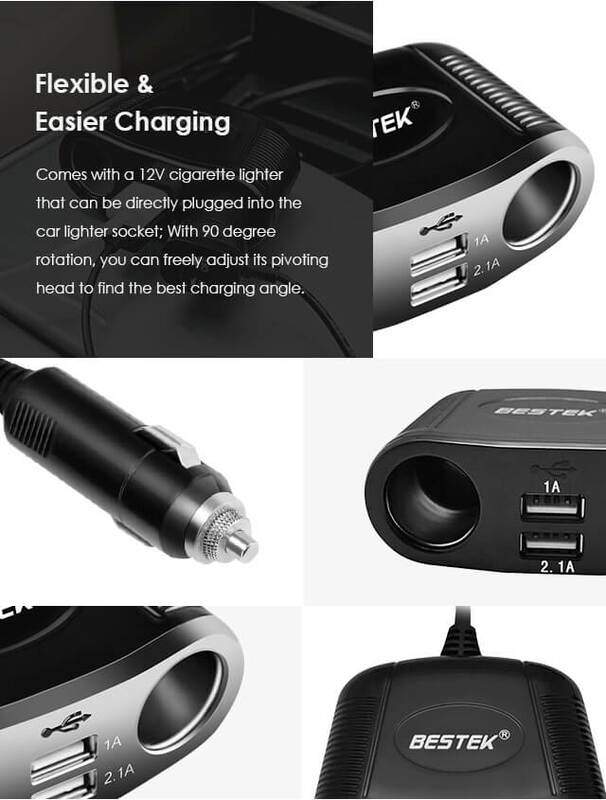 Its quality is good, very convenient for me to use. In addition, the cord is long enough so that it doesn't impact my cup holder usage. 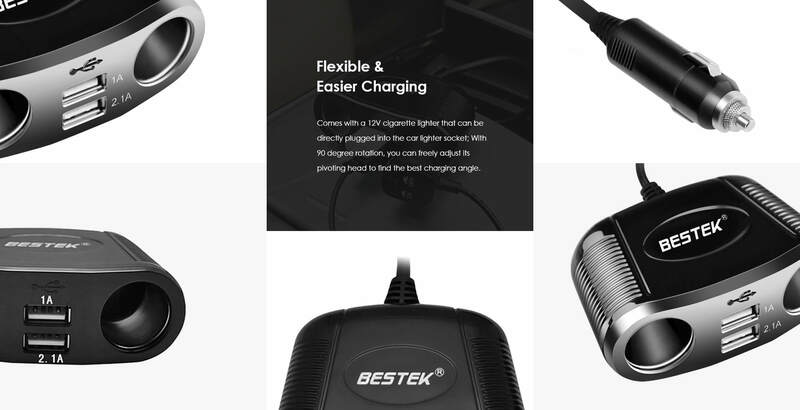 The cable makes it more convenient to use than similar chargers which don't have one and must remain flush to the cigarette lighter. I love the ports, which have performed well in terms of charging ( Android phones, tablets, MP3 players).